Do You Have a Virus On Your Desktop or Laptop Computer? We can remove it. Not only will We fully remove the viruses you have right now. We can also protect your machine to reduce the chances of getting any new viruses, and at no additional cost. 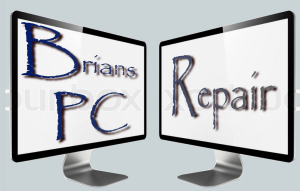 Why Choose Brian’s PC Repair: Unlike big box stores who will nickle and dime you, Our rates are fair and affordable. You also won’t have to pack up and take a drive to deliver your machine because We provide you with convenient in-home service. Choose us for fast, in-home service, with premium extras only available through Brian’s PC Repair – Included for no additional cost because We want you to choose us for support with all of your computer repairs and upgrades from now on.